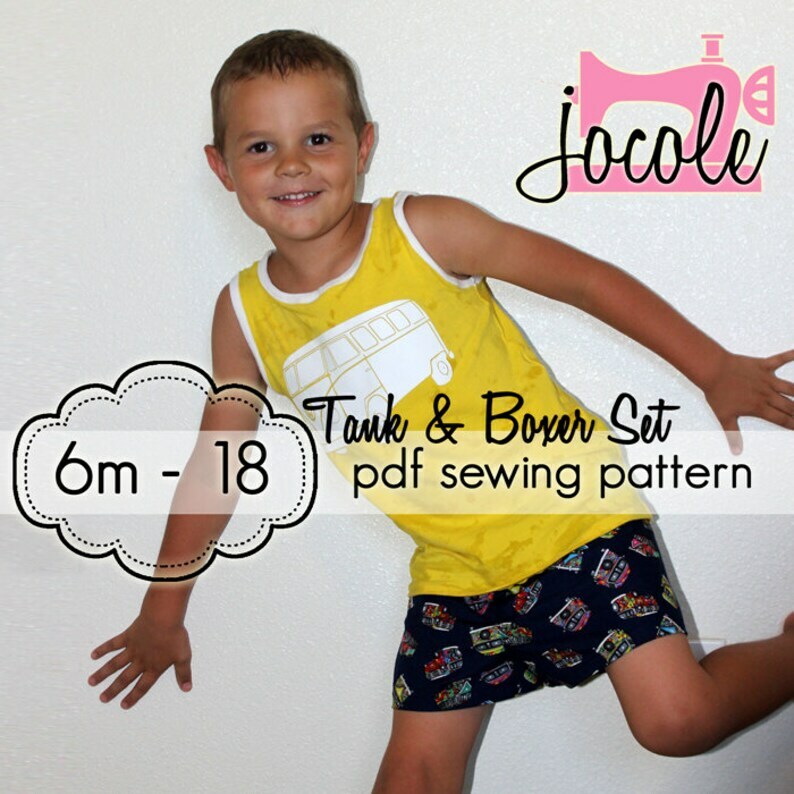 Boxer and Tank Set … perfect for any boy in your life. Great for sleepwear or even as under garments. Quick to sew up and comfortable to wear. Perfect to help you use your fabric stash. This set is perfect for lounging around playing video games … or hidden at the park under your jeans … perfect summer pajama set. You will receive: ONE (1) pdf sewing pattern with 17 pages of step-by-step sewing instructions (49 steps and 53 illustrations and color photos), or 3 page Quick Guide instructions for those who wish to save ink and not print pictures and 15 pages of patterns to guide you along as you make the Boxer & Tank Set [7 for the Boxers and 8 for the Tank]. Great pattern and easy to make!